Beyond the Scenes: Batman vs...Batman? Uh-oh… looks like the gang’s all here! SPOILER ALERT: The following contains plot points from Saturday’s Batman Beyond 2.0 #4. Read at your own risk! Haven’t read Batman Beyond 2.0 #4 yet? Read it instantly or subscribe to the series here! Welcome back! Batman Beyond 2.0 writer Kyle Higgins is pinch-hitting for the majority of this week’s “Beyond the Scenes,” but I think I can safely speak for the entire team when I say that we’re so thrilled about the positive response that the new series is getting. So thank you all for reading—I can honestly say that we’re just getting started! So that's a fun ending, right?! Hopefully it was as surprising to read as it was to write! With all the questions it (hopefully) raised, I thought it'd be fun to focus this week's “Beyond the Scenes” on the process that led to the reintroduction of the O.G. Bat Family. The idea formed while I was on a long walk, listening to Doctor Who scores. Like the beginnings of most story arcs (at least, the ones I write) I knew where Terry was going to start, the mystery he was going to face, and where he was going to end up. And when I say I knew where Terry was going to “start,” I mean that in the emotional sense. More specifically, I knew Terry was going to have a chip on his shoulder—that he was going to be looking to prove to everyone—including himself—that he was fine without Bruce. "I really don't need him." With "The Mad Man With a Box" as a soundtrack, I started asking, "If that's what Terry believes, then how do I challenge it... not just on a plot level, but on an emotional level?" And, more specifically, "How do I make it visual?" 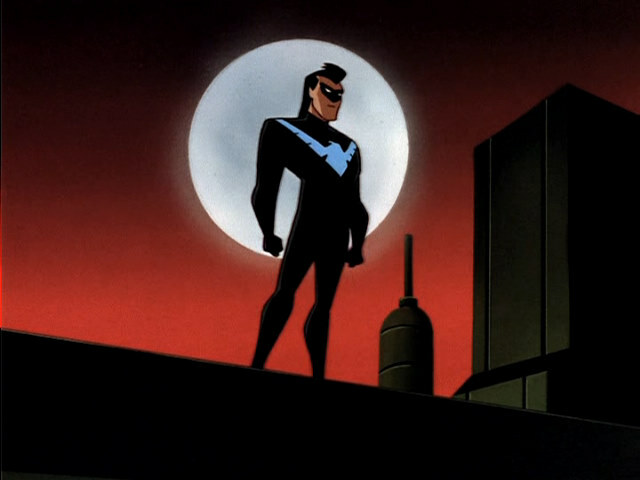 Of course, the idea of Nightwing vs. Batman Beyond made me smile. If we did it right, it could be pretty loaded. Adding in Batgirl, Robin and the original Batman got me thinking even more. If Terry was going to be out to prove he didn't need Bruce, then bringing him face to face with the originals would be a nice way to challenge that... especially if they don't think very much of Terry or the job he's doing. But I had a lot of questions. How does it tie into the overall mystery? Why are they here? How are they here? And—maybe the most important question of all—how do I make this different? In two weeks, you'll get the answers.